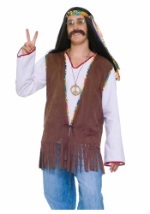 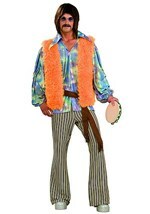 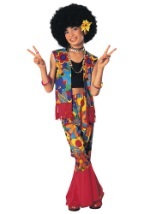 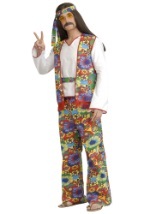 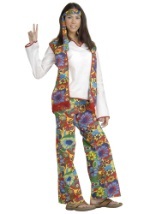 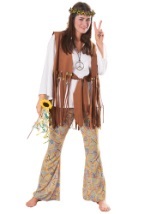 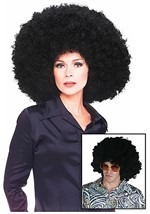 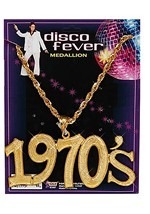 You have the spirit of a hippie and now you can dress like one with this Groovy Hippie Adult Costume. 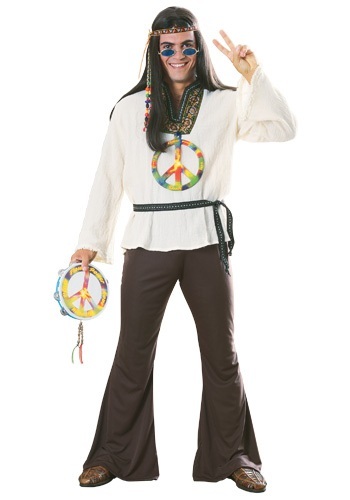 This 1960s costume comes with a long-sleeved, beige shirt with a v-neckline. 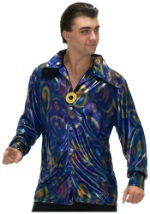 The v-neckline is line is trimmed in a brown, yellow, green and white floral patter. 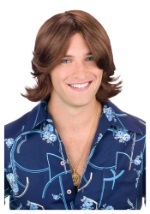 The shirt is a perfect match to the brown bell-bottom pants that have an elastic waistband for a secure and comfortable fit. 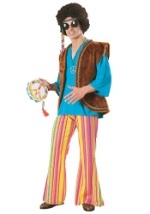 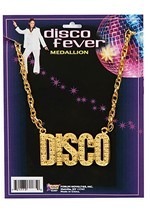 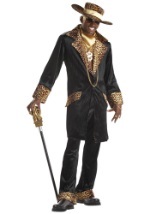 A worn, brown waist sash ties around your torso to complete this costume. 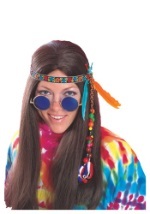 Check out our selection of far-out sunglasses and hippie accessories for a truly authentic look.